What’s the deal with Norwex? Norwex is a direct sales company selling home products via consultants at parties. The company’s products include things like microfiber towels, household cleansing products, and some personal care products. 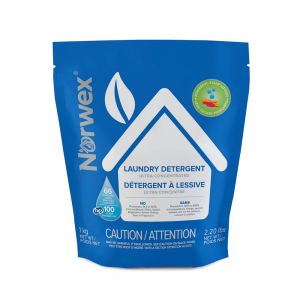 Norwex focuses on being eco-conscious and cleaning your home with fewer harmful chemicals. Is Norwex a Multi-Level Marketing company? Yes! The company focuses on the term “direct sales” but this is a common term that companies with a multi-level business model use. It’s fairly easy to tell that Norwex uses a traditional MLM model by looking at their compensation plan. Consultants make money on the sales of the consultants they recruit. The consultants at higher levels receive bonuses and even higher pay based on the increasing size of their downlines. Is Norwex really free to join? No. Like most MLM companies Norwex requires new consultants to purchase a starter kit. However, they offer these starter kits with a sort of deferred payment — kind of on credit. In the event that you sell $2,000 in personal sales in the first 90 days you don’t need to pay for the $200 starter kit. This is a kind of twist on the “fast start bonus” you’ll see in a lot of MLMs. However, it’s a really icky twist. It likely encourages folks who can’t really afford the starter kit to enroll. It’s easy to think, “that cost won’t matter, I’ll earn the free kit no problem.” We’ve seen that these types of “fast start” bonuses can be really difficult to achieve. Note, Norwex doesn’t disclose how many consultants receive free kits. In a survey of MLM participants, debt is pretty common, more than 30% had used credit cards and 9% used personal loans to pay for expenses. Are people are making money with Norwex? It’s not clear. Many direct sales and MLM companies will publish an “income disclosure” statement or “earnings” disclosure statement to help potential consultants understand the amount folks earn with the company. Norwex hasn’t published anything like this. Generally, we consider this a red flag. The FTC has advised that companies shouldn’t advertise earnings unless those earnings are typical of participants. However, it’s really difficult to tell of the income is typical without these types of disclosures. Norwex materials all disclaim that they are not a guarantee of earnings. Unfortunately, it’s also hard to trust the information from those recruiting new consultants. First, the leaders, senior leaders, etc are among the most successful. These participant’s earnings are often the least typical. Second, even unsuccessful MLM participants will exaggerate their success in order to recruit others so they may become successful. In order to get real facts, ask for data about all consultants. Check out other income disclosures analysis for the kinds of data and questions to ask. It really depends on what “scam” means to you. There are certainly some red flags about the company right at the get go. Multi-level marketing is a business model that benefits the very few with the most success at the expense of most participants. Norwex’s approach to starter kits seems generous at first, but up-front debt isn’t generous. You can earn commissions from selling the products, and the compensation plan is quite easy to find online. Consultants are encouraged to sell the products. Looking at their products, they are very highly priced. These products are likely not competitive for the savvy shopper. For example, the 13″x13″ microfiber cloth, with the same qualities, can be found at very fancy retailers like Sur la Table and Grove Collective for half of what it costs at Norwex. At your every day stores like Target, Amazon, and Walmart they are a tiny fraction of the cost. This is common of MLMs where the profits generally come mostly from recruiting new members – not from competitive product sales. If you’re thinking of joining Norwex, it’s likely that someone is recruiting you. Be sure to ask that person all of your questions. Ask about the # and % of consultants at each level of the business, and how long it took to get there. Look for data on the average and median incomes. Research the best selling products, and how they compete in the market against specific products like the “Amazon Choice” in the same category. In our experience, MLM companies aren’t a great option for most people. They pay less than minimum wage, and are rough on women. Be sure to let us know what you find!